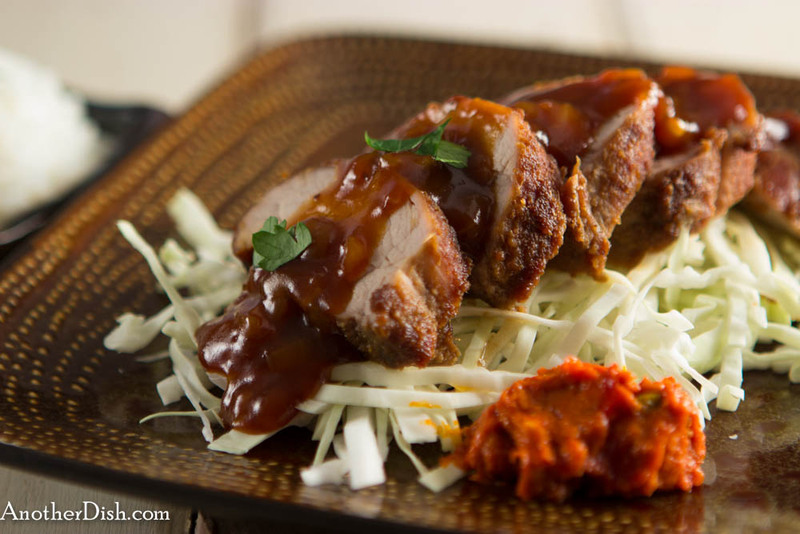 This dish is a Malaysian spin on an Indonesian recipe from Dutch colonial times. The cooking technique is a different style of braising, where you cook a relatively tender cut of beef (such as sirloin) for not a very long period of time — the beef turns out wonderfully, and to me, the cloves, lime juice and fennel seeds are what make the delicious sauce! 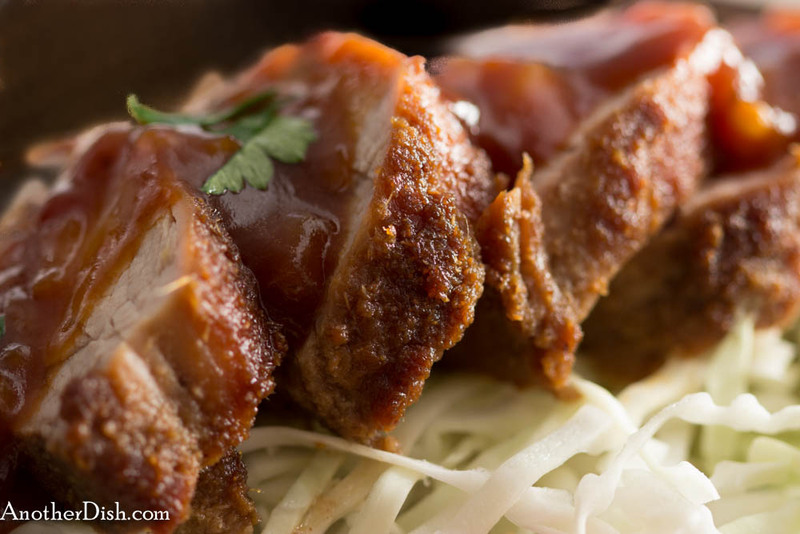 I hope you’ll give this dish a try! In a medium glass bowl, whisk together the kecap manis and lime juice. Add the sliced beef and mix well. Set aside and let stand for half an hour. Combine the ground coriander, cumin, fennel, candlenuts and black peppercorns. Grind to a paste with a mortar and pestle or small food processor, adding a couple teaspoons of water. Heat oil in a wok or Dutch oven over high heat. Add the onion and saute for 2 minutes. Add the spice paste to the pan and saute for another 2 minutes. Add the beef with its marinade, the tamarind, water, cloves, salt and sugar. Reduce heat to low and cover. Simmer for 40 minutes. Remove lid and continue to simmer for a few more minutes, reducing the sauce until thick. Garnish with the green onion and serve with steamed jasmine rice. 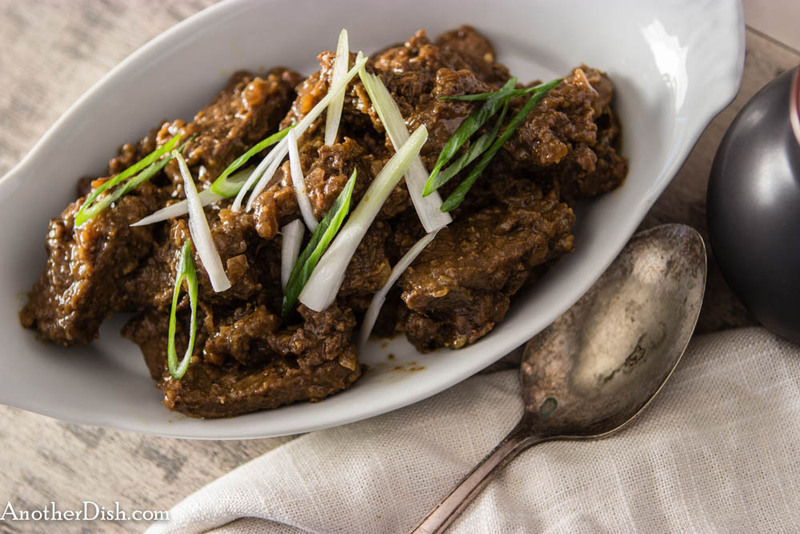 This entry was posted in Beef, Main Dishes, Malaysian and tagged Cooking, Food, Food Photography, Foodie, Kecap Manis, Malaysian Food, Recipes, Southeast Asian Food on October 8, 2013 by AnotherDish. This Indonesian chicken dish is quite different from many of my others, in that its flavors are much more subtle, and the sauce, which is typically very thick, is much more of a broth. For this, I really enjoy this recipe for a change. 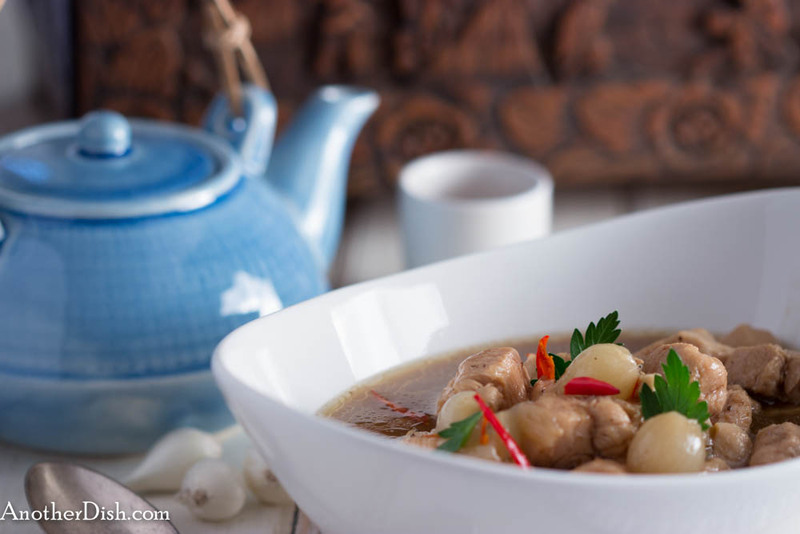 The tamarind broth is simple and delicious! I hope you’ll try this dish! Combine chicken with salt and black pepper in a bowl. Heat oil in a wok over high heat. Add chicken and cook for 4 minutes. Add garlic, ginger and Laos powder, and stir fry for an additional minute. Add chili, tamarind water, kecap manis, water and the pearl onions. Stir to combine. Reduce heat to low, cover and simmer gently for 30 minutes. Serve with steamed jasmine rice. This entry was posted in Chicken, Indonesian, Main Dishes and tagged Chilies, Cooking, Food, Food Photography, Foodie, Indonesian, Indonesian Food, Kecap Manis, Recipes, Southeast Asian Food, Spicy on September 14, 2013 by AnotherDish. Here’s anther Indonesian chicken dish for you to try tonight. There’s no heat in the dish, but I encourage you to serve it with a spicy Indonesian sambal on the side (here I served it with sambal petai, which I purchased at a local Asian food market). 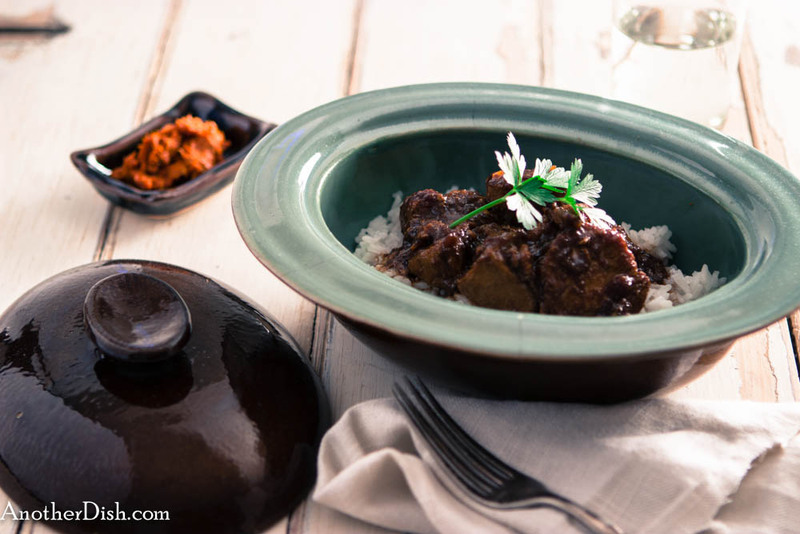 What make this dish stand out are the kecap manis (sweet Indonesian soy sauce) and the nutmeg. 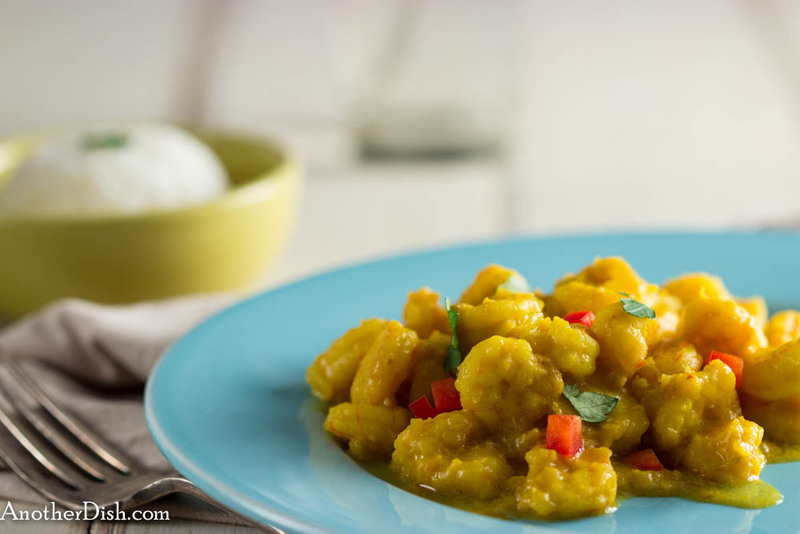 I think this dish is so interesting — I hope you’ll try it! Rub chicken pieces with the salt. Heat oil in a heavy skillet or Dutch oven (with tight-fitting lid) over high heat. Add the chicken pieces and brown evenly for 4 minutes. Reduce heat to medium-high. Add the onions and stir-fry for another 3 minutes. Add the nutmeg, kecap manis and tamarind concentrate to the chicken mixture; stir well, reduce heat to low, and simmer about 20 minutes, until almost dry (but not burnt!). Add the water. Increase heat to high, stirring while bringing mixture to a boil. Reduce heat to low, cover and simmer gently for another 20 minutes. Remove lid. Increase heat to high. Cook an additional 3 minutes, stirring constantly for an additions 3 minutes, until the sauce has thickened substantially. Serve over steamed coconut jasmine rice, with an Indonesian sambal (sauce) on the side. 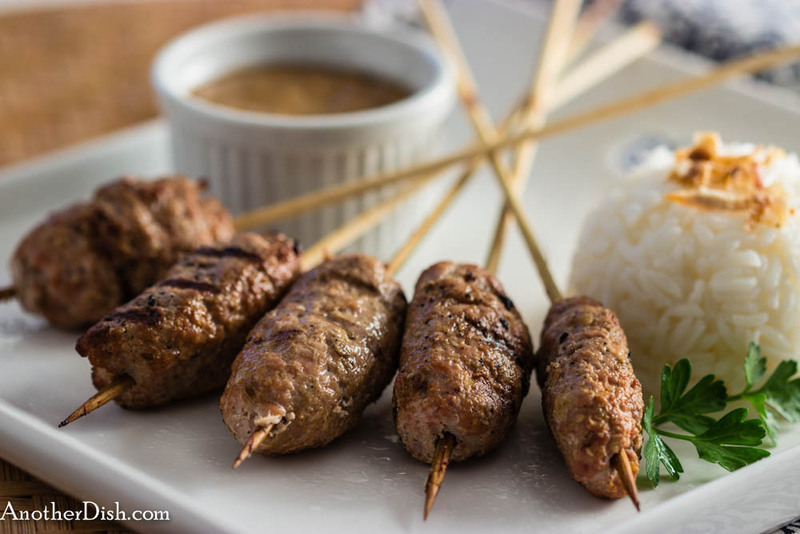 This entry was posted in Chicken, Indonesian, Main Dishes and tagged Cooking, Food, Food Photography, Foodie, Indonesian, Indonesian Food, Jasmine Rice, Kecap Manis, Recipes, Southeast Asian Food on August 25, 2013 by AnotherDish. I’m very fond of just about any dish that has lemongrass in it. The original recipe called for ground lemongrass, but I prefer the brightness of fresh lemongrass for this recipe. 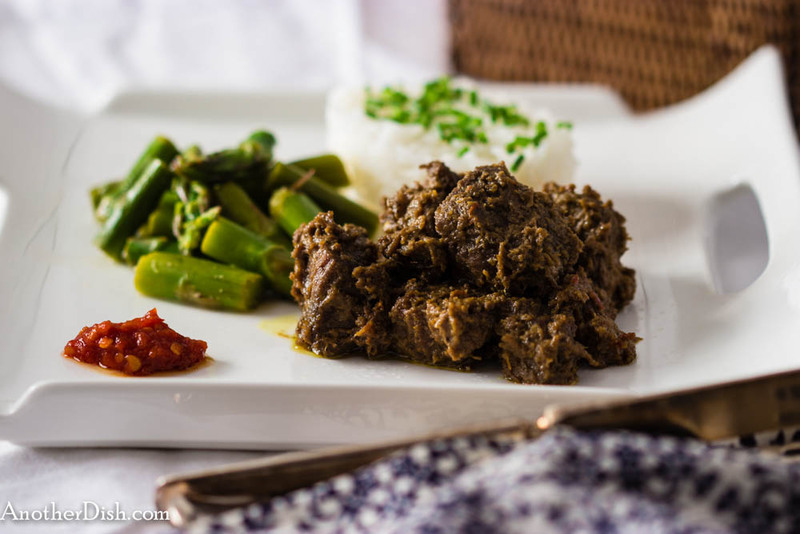 This Indonesian curry can be served as a main dish with steamed rice, or as one dish of a few for an Indonesian-style meal. This is an easy dish for a mid-week dinner, and it’s good so I hope you’ll try it! Heat oil in a wok or skillet over medium-high heat. Add the onions, garlic, lemongrass, turmeric, cumin and sambal ulek. Saute gently for 3 minutes. Add the terasi, salt and coconut milk to the onion mixture. Bring to a boil. Reduce heat to low, add shrimp and simmer for 20 minutes, or until sauce is quite thick. 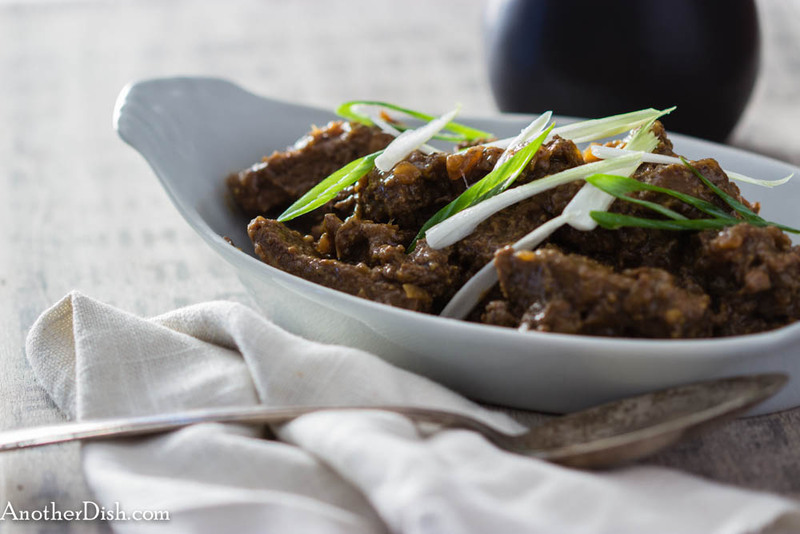 Stir in kecap manis and serve with seamed jasmine rice. This entry was posted in Indonesian, Main Dishes, Shrimp, Uncategorized and tagged Chilies, Cooking, Curry, Food, Food Photography, Foodie, Indonesian, Indonesian Food, Kecap Manis, Recipes, Southeast Asian Food, Spicy on June 12, 2013 by AnotherDish.